In today’s blog post we’re thrilled to collaborate with Sarita Coren of the Hub of Clean living again. 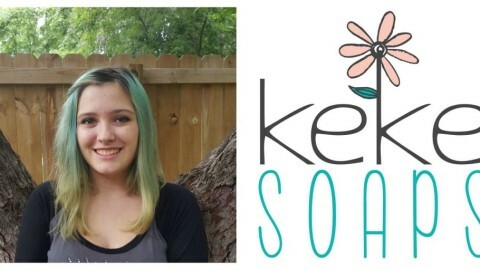 Sarita very kindly answered a series of questions for us a while ago on how brands should work with green beauty bloggers, which our community of artisan brands and formulators loved. We thought it would be fun to follow up on that article by looking at this topic from the side of the green beauty blogger. We want to support green beauty bloggers in their work with artisan brands by helping them know which questions to ask about the formulations they receive. In this article we share the 7 questions that we think all green beauty bloggers should ask artisan brands, as compiled by Sarita Coren and Formula Botanica. Questions from Formula Botanica are marked with FB and questions from Sarita Coren are marked with Sarita. We think that green beauty bloggers should ask the brand they’re working with what the word ‘natural’ means to them – the answer might be eye opening. With the surge of natural brands, it’s a good idea to find out how well the founders (who may also be the formulators) understand how skin works and what ingredients suit it best. 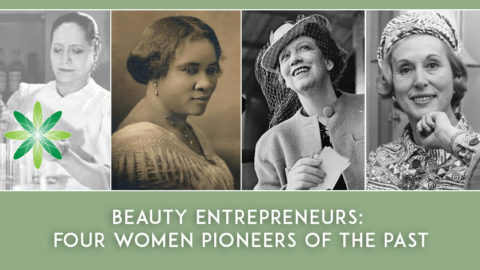 That’s not to say that every founder must be an esthetician, however a working knowledge of skin and an understanding of skin’s synergy with ingredients is an absolute must—particularly if they have not hired a lab for production. Here’s an example: Even when a product contains all natural ingredients, some essential oils, for instance, may be phototoxic and have an adverse effect on skin when applied during the day. If the formulator is not familiar with essential oils, they may not know about avoiding them or about how to include them in proper dilutions to prevent photosensitivity. Some brands who call themselves natural will still use some synthetic ingredients. Popular examples include synthetic preservatives such as phenoxyethanol, synthetic emulsifiers such as Polawax or synthetic solubilisers such as polysorbate 20. It is their choice to use synthetic ingredients. However, we are of the opinion that any brand should be open and honest about those choices. 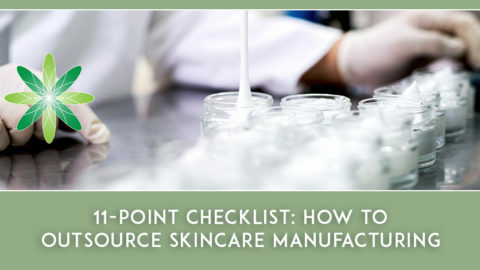 Ask the brand you’re working with whether any of their ingredients are synthetic – it will also tell you whether they understand the ingredients they’re working with. This is a newer question that I’ve started asking because I find it important to get a full understanding of a product line and how it is meant to work. Let’s say that a collection doesn’t include a toner or mask, I want to know why not. Perhaps it’s not in the plans to introduce one to their line because the founder doesn’t find them necessary at all (as with a line I’m currently testing), in which case I’d like to discover the reasoning. Some brands take a therapeutic approach to skincare that’s influenced by Ayurvedic principles, Traditional Chinese Medicine, or their native culture. If so, it’s a good idea to learn more about the background and proper use of their formulas because that will affect the way the products are used, as well as their performance. There is a large focus in the green beauty world on being preservative-free, but if your formulation contains water then it will need to be preserved safely. There are numerous naturally derived preservative systems available to formulators, but not all of them work safely to effectively preserve a formulation. For instance, potassium sorbate / sorbic acid functions well against fungus, but is a very weak preservative against bacteria. So if you see a beauty product that only contains potassium sorbate as its preservative system, then you know it may contain unacceptable bacterial growth. We also see many brands attempt to use Radish Root Ferment / Leuconostoc as their main preservative system, but countless formulators have seen their formulations fail challenge tests (more on this later) which means that this preservative on its own does not provide adequate protection against microbial growth. Don’t be scared to ask the brands you work with about their preservative systems. 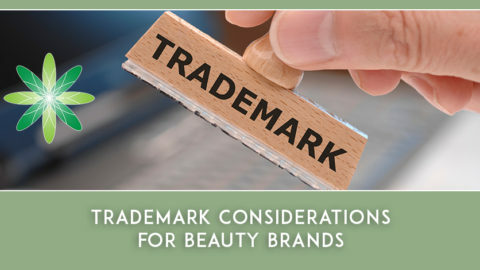 You want to make sure that the products you recommend on your beauty blog are safe to use – on all levels. As Formula Botanica’s probing questions indicate, not everything natural is safe. The issue of bacteria and mold is definitely a concern in a product already sitting on a shelf, but what about the conditions where the product is formulated? Is it sanitary? Are measures taken to protect the formula from bacteria before it is packaged? Is the brand making everything in a kitchen without proper caution to keeping the contents unadulterated? The FDA has listed some of the guidelines about homemade products here, though the US is definitely lagging behind the more scrupulous measures exercised in Europe. Still, a blogger should make sure that the products are made safely throughout the entire manufacturing process. The other element that’s included under this topic deals with fair trade practices and sourcing sustainable ingredients and packaging materials. When a brand claims to be “green,” a consistent standard of integrity and transparency tends to be valued more than with conventional companies. Factors such as good working conditions and fair wages, in addition to mindful sourcing may be taken into consideration when evaluating the product line. It isn’t about perfection, but rather about accountability. Is the company striving towards improving their carbon footprint and environmental impact? It is good to know. Following on from number 5, any product that contains water should be sent for microbiological challenge testing in a lab – regardless of whether this is a legal requirement. 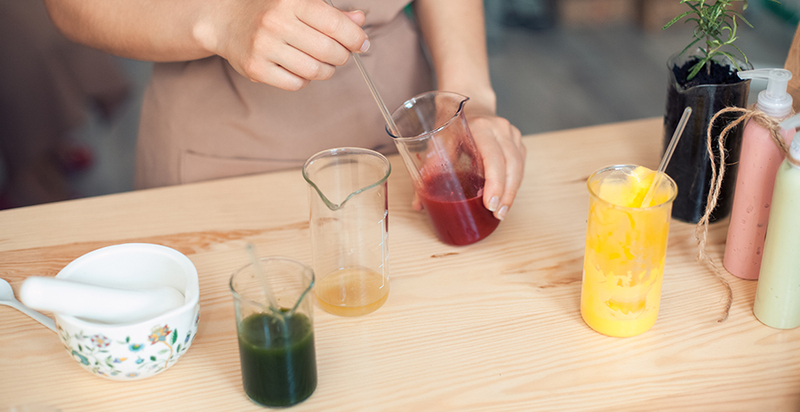 A challenge test involves a lab introducing various microorganisms to a formulation and then seeing whether the product is still safe for use after incubating the product. As soon as you open a lotion or cream you introduce microorganisms to the product, so this is an acceleration of real world conditions. In other words, if your formulation isn’t safely preserved then the lab will be able to tell you (within one month). In the EU, microbiological challenge testing is a mandatory requirement for water-based personal care products and safety assessors require this test before they are willing to sign off on a product. In other parts of the world, this type of test isn’t mandatory but that doesn’t mean that a brand shouldn’t have their products sent for testing. Any brand of any size should ensure that their products are safe to use. We still see hundreds of products sold in the USA (in particular) which contain water and are completely unpreserved, or only have an antioxidant such as Grapefruit Seed Extract added to them. This is a dangerous situation waiting to happen, and we encourage green beauty bloggers to ask the brands they work with whether they’ve had a lab check that their products are safely preserved. Thank you to Sarita Coren for joining us again on our blog! We always love collaborating with Sarita and we encourage you to visit her amazing website at The Hub of Clean Living. Follow Sarita on Instagram @saritacoren or on Twitter @saritacoren. Do you think these questions are justified? 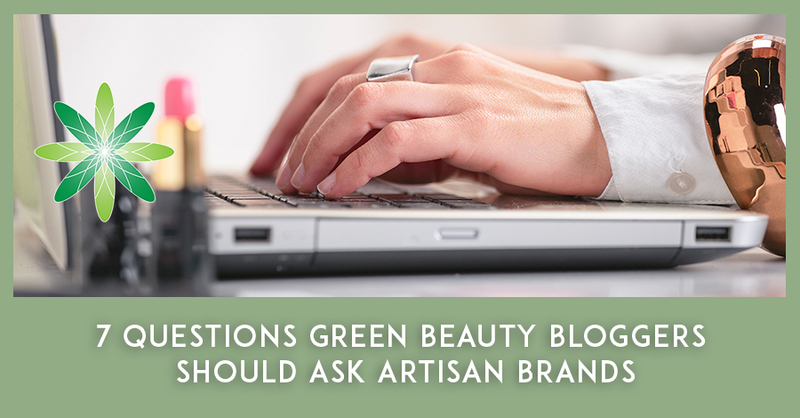 We’d love to hear from green beauty bloggers – which questions do you normally ask when you work with artisan brands? Leave us a comment below!